This one's for the dark chocolate lovers! 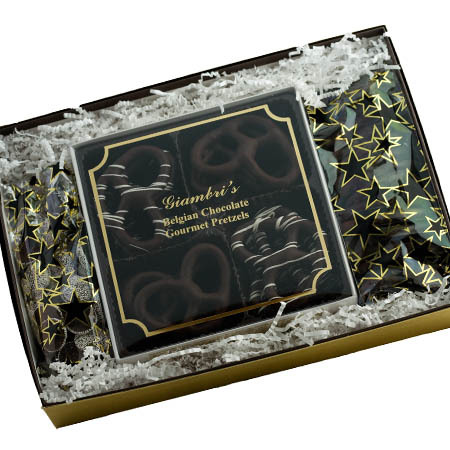 A large gift box filled with 11 oz. 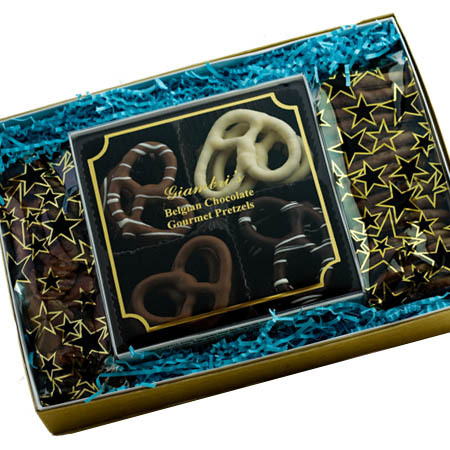 of dark chocolate pretzels, and a half pound of both dark chocolate two ring pretzels and dark chocolate nonpareils. 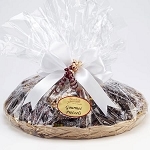 Perfect for any special occasion or thank you!